I became obsessed with Pancit batil patong after trying out a plate at a roadside panciteria in Tuguegarao City a couple of years back. I’ve scoured Manila since then, trying to find that perfect eatery that serves the same pancit dish. It wasn’t as easy as I thought it would be; looking for a restaurant selling one was hard enough, finding one that has the same legit flavor as those in Tuguegarao was nearly impossible. After several restaurants, I thought I finally found the perfect one at Jibs Pancit Batil Patung in Manila. 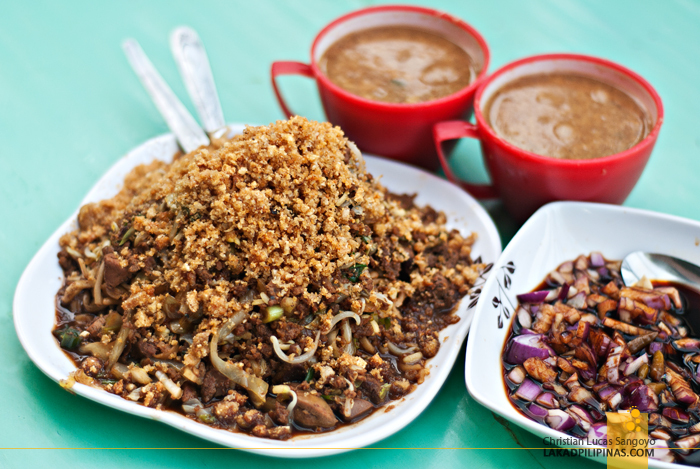 My taste buds thought it has that same zest as those in Tuguegarao City where this particular noodle dish came from. But during my recent trip to this city up north, I tried out the pancit being offered at Jomar’s Pancit Batil Patung, and realized I thought wrong. 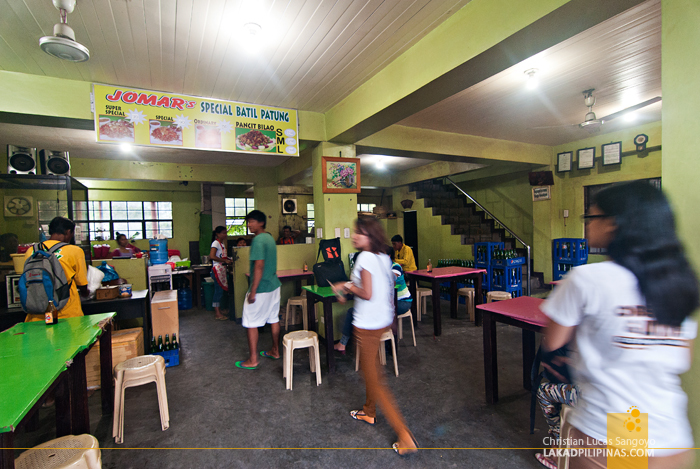 Ask any local in Tuguegarao City where the best pancit batil patong is and chances are, they’ll mention only one name, Jomar’s. 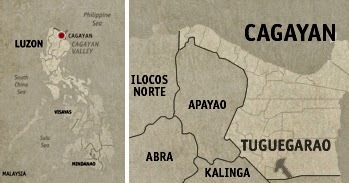 The place is located on a non-descript two-storey building right beside the Tuguegarao Cathedral. The place was packed when we arrived and we had to wait a bit before we were able to get a table. 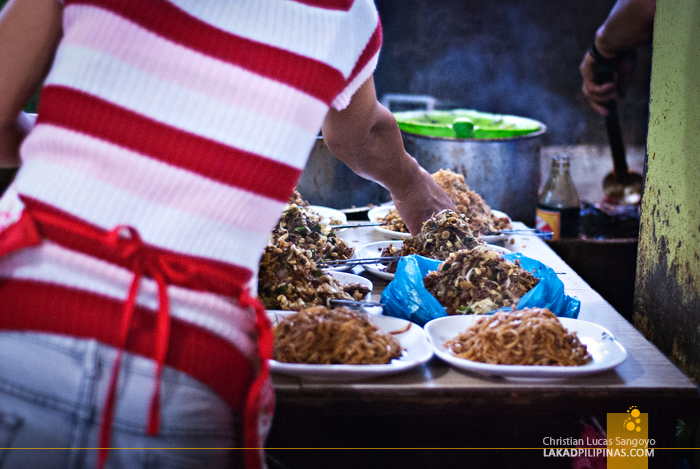 I can just imagine how busy it would be during Sundays; the Cagayanos love their local pancit as if it were air that they needed to breathe. We seated ourselves outside and waited for a staff to approach us. Jomar’s serves nothing but pancit batil patong and they have three varieties of the dish; Ordinary (Php50.00), Special (Php60.00) and Super Special (Php70.00). Besides the serving size, the differences between the three are the amount of toppings they have. The Ordinary has no lechon carahay toppings, a crunchy crushed chicharon-like ingredient made from deep-fried pork skin. While waiting for our order, we checked how Jomar’s staffs prepare their pancit batil patong. 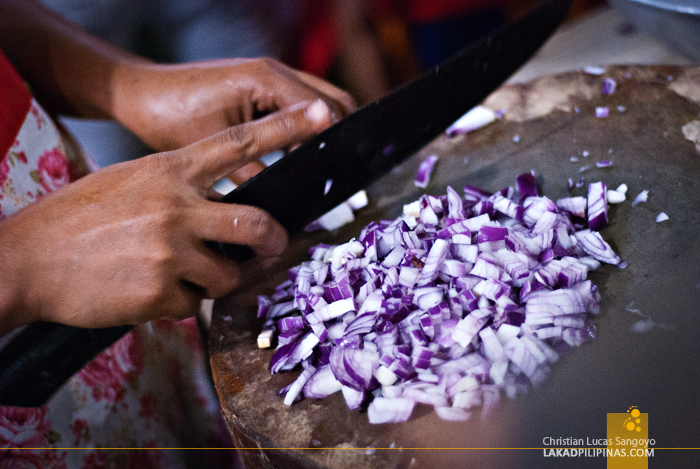 We saw one busily chopping away on bulbs and bulbs of red onions and another one pouring batil soup on red plastic cups; these two, the typical side-dishes for this northern cuisine. A few minutes later and our orders arrived; two servings of Jomar’s Super Specials. We were totally blown away by its serving size; it was so huge that a single order can be generously shared by two people, easy. 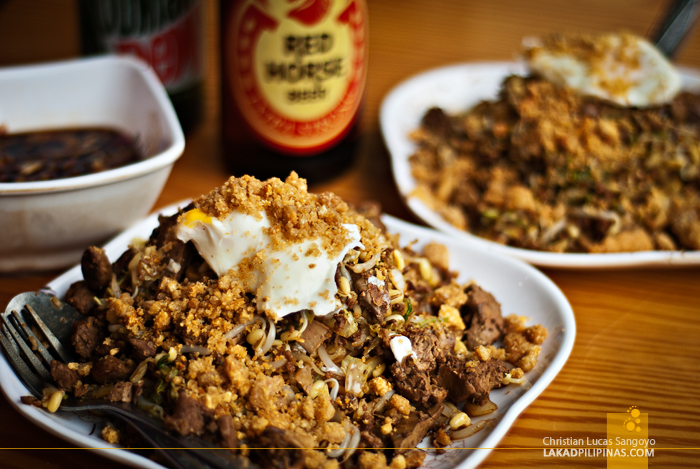 Its toppings were so over the top that the poached egg or patong that’s usually placed above everything else was buried beneath mounds and mounds of crunchy carahay, liver chunks and carabeef bits. 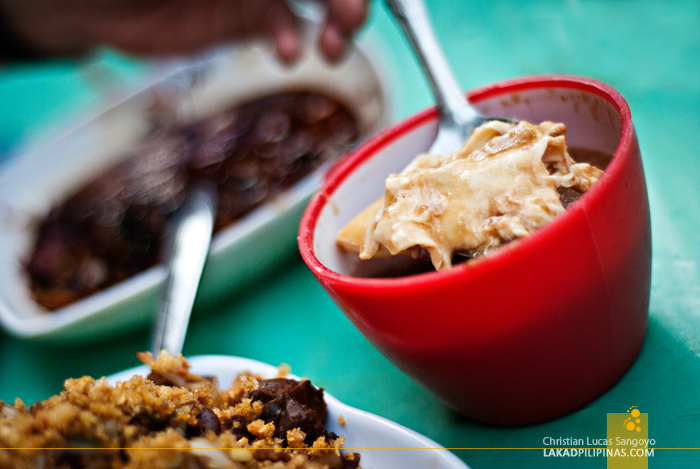 Excited to dig in, we immediately mixed their Toyo Malabon, a soy sauce made from the nearby province of Isabela, and calamansi over the chopped onion sidings. The first thing I noticed was the batil egg-drop soup. Based on a carabeef broth, it has such a rich flavor and even have almost full portions of poached eggs. 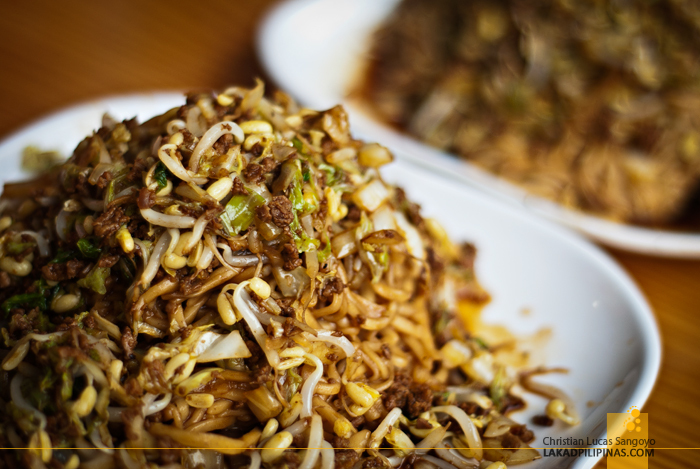 From looks alone, I knew then that Jomar’s pancit batil patong dish was a force to be reckoned with. The amount of ingredients on a single plate was nothing short of astounding. And upon my first steaming forkful, it simply confirmed what my eyes told me. The flavor of its miki combined with the crispness of fresh bean sprouts, the liver bits, the super crunch of its lechon carahay, the flavorful carabeef and the perfectly poached egg; Jomar’s version of Tuguegarao’s noodle dish is absolutely the best one I’ve tried, ever. Jomar’s has ruined it for me, I’ll never be able to look and taste a plate of any pancit batil patong the same way again after this; this is the definitive pancit batil patong for me. 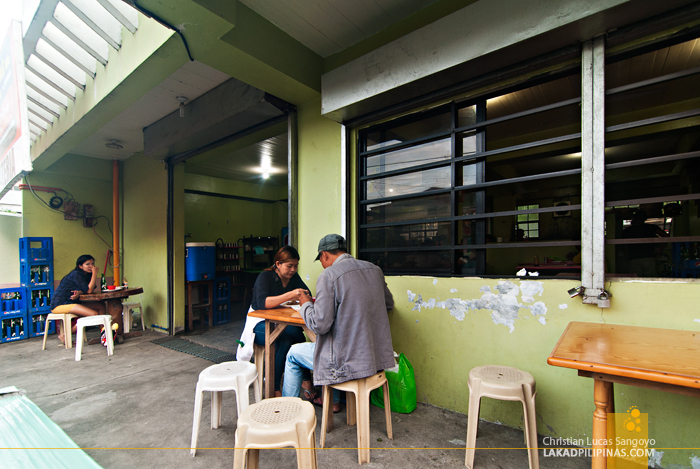 There are lots of good eating places in the Philippines. They are not expensive but has the taste of the most expensive foods and cuisines. You need to check them out and delight your taste buds. 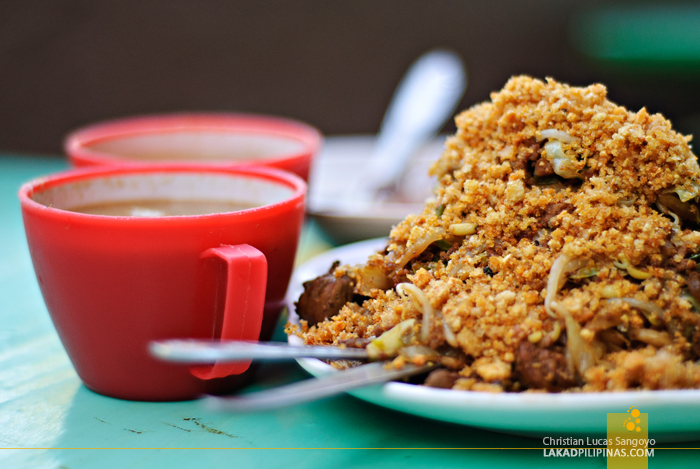 Cheers to having the best pancit in the Philippines!